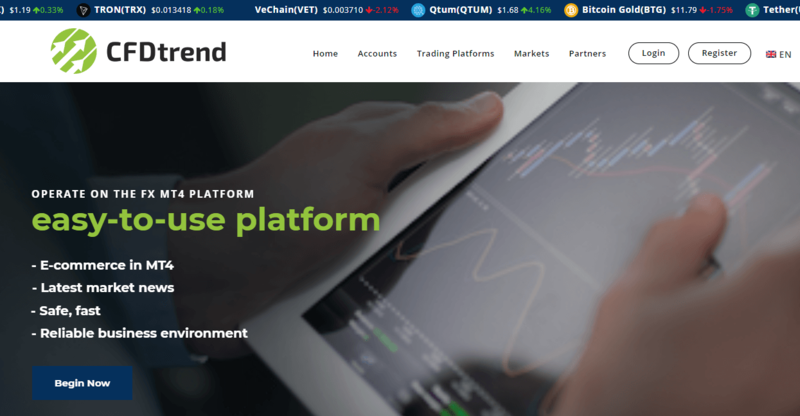 CFD Trend Review 2018 | Is CFD Trend a Scam or Legit Forex Broker? Beware CFD Trend is an Offshore-Licensed Broker. It is NOT SAFE to trade. Red Bird Ltd. CFD trend. CFD Trend seems to be another trading company that appeared recently at the market offering and claims its reliable business environment through a safe and fast trading environment. The broker proposes generous bonuses, multiple asset trading with ECN accounts on MT4, as well designed mobile application for a constant monitor of the market. The offering, in general, doesn’t seem to be very much attractive, yet designed in a manner to deliver the necessary tools and all what is needed for a beginner or regular trader. However, the main concern about CFD Trend is that the company located in an offshore zone SVG, which in fact does not implement stricter overseeing of the financial firm operation and didn’t impose hard to achieve requirements for firm establish. In other words, the broker may operate a business in any manner they wish and of course, this fact includes the highest risk to lose money. In the world of trading full of frauds and non-trustable companies, it stands at top priority to choose only this company that proved its status, operates brokerage service with necessary license and constantly overseen by the independent authority. In this case, the trader can trade assured that his protective rights are enabled and controlled at all times. Even though the CFD Trend is a quite new offering and still didn’t gain a cruel reputation with negative reviews, yet the lack of regulation imposes no trust in them. In order to succeed in trading, it is always recommended to choose a reputable firm, better from the respected and known financial hub alike Australia with established ASIC regulation or brokers from other jurisdictions. Check carefully any broker before you sign in while the list of Regulated Forex Brokers will help to choose the suitable one.